In this post I would like to look at a very different deployment of a Practice. One of my customers has a practice on the Lisburn Road in Belfast. Some years ago he opened a joint Optical and hearing services branch. The Branch is set in an upmarket part of Belfast along a road full of boutiques supplying high value goods. He decided that his branch deployment and his brand would be one that fit this area. So he carefully set out the design elements of the branch and indeed his whole brand. He clearly realised that everything pertaining to his brand was a key component of his audiology marketing strategy. Below is a combination of Optiques’ logo and an exterior shot of the branch signage. The elements of the exterior of the shop were carefully thought out in order that they both spoke to the brand and were harmonious to the area. As you can see from the publicity shots which were well done, the branch looks extremely well. Note as well how the brands logo is deployed across the sun shade and indeed across the shop front glass. The logo is a recurrent theme throughout the deployment of the Practice and the brand itself. The interior decor again speaks to an upmarket establishment with plush decor and high quality furnishings and fittings. The Optical area is extremely well deployed, sophisticated but neither over pretentious or arty. It manages to communicate sophisticated, established and professional without stuffiness. 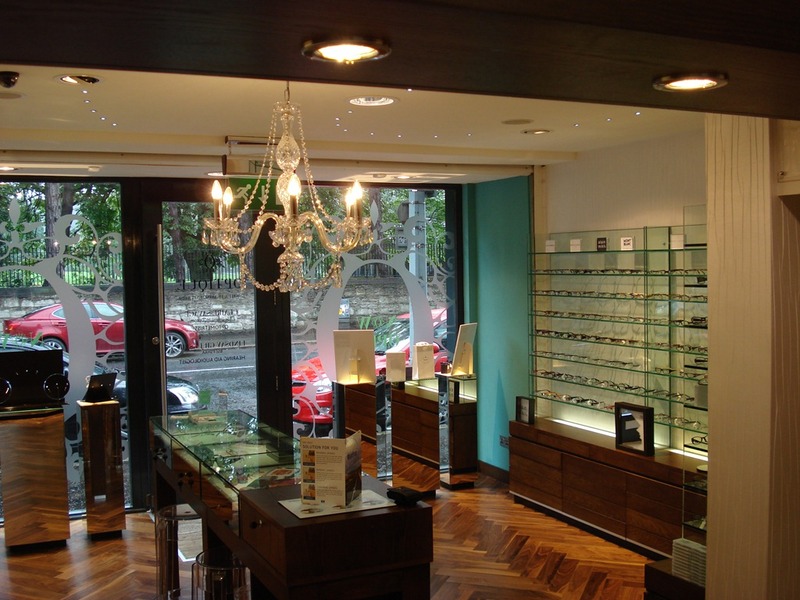 Even the display cases used for high value opticals are carefully selected to match the overall brand feel. 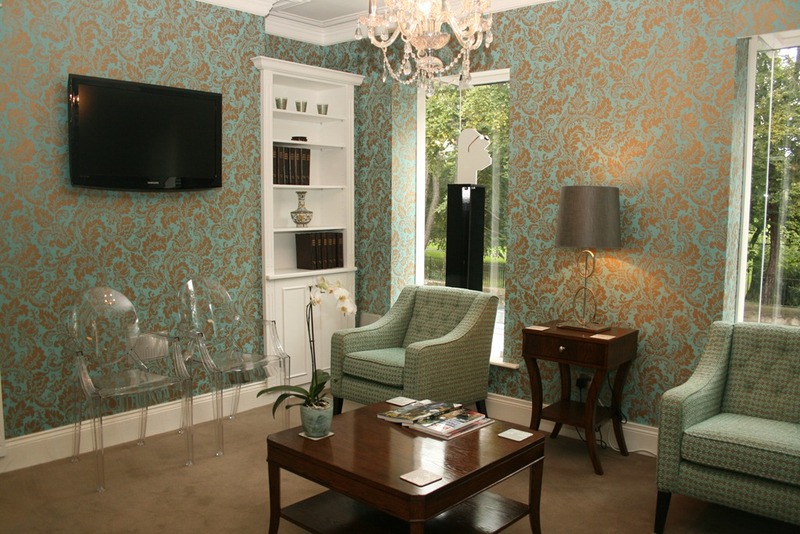 There is a change in decor in the hearing healthcare waiting area with the deployment of soft furnishings, a beautiful centre piece mat, living room dressers and exquisite wall paper. It would put you in mind of an upmarket gentleman’s club. It is extremely welcoming and comfortable. Again the brand feel is visible throughout the decor, the wall paper colour and design is sympathetic to the Optique Logo branding. This is in essence that which I wish to bring to you here. Every element of the combined practice is deployed with the brand in mind. Optique decided what brand feel they wanted, they then deployed every element of their Practice to service that brand feel. Everything from the physical branch, through the letter headings and paper used to the online marketing elements are consistent with the brand. You can see from the two websites that Optique use, the brand elements are deployed throughout. This is also the case on their recently started blog, the consistent use of the elements is key to their audiology marketing strategy. I hope that you agree, they have done an excellent job. This concept should be key, should be foremost in your thoughts as you design your own strategy. Everything about your Practice contributes to your brand and it’s feel. Your brand is and should be treated as a major part of your audiology marketing strategy. Audiology Marketing, Hearing Aid Marketing, Practice Branding. Bookmark. I would have to agree with you there, I am jealous only because I had nothing to do with it! 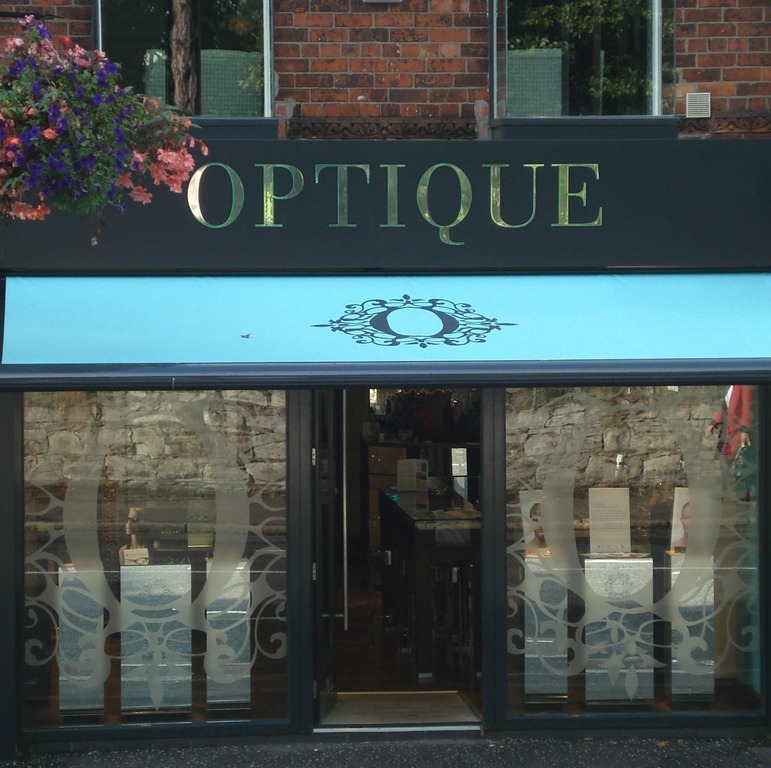 Optique have truly deployed a boutique Practice. I know, well thought out.